Film grain, persistence of vision, sensor tubes, and experienced resolution. Who will make the merchandise display cases for VR shopping? Over 20 years of experience in creative/technical supervision and design in Visual Effects, Feature Animation and Scientific Visualization. At SIGGRAPH this year in LA, I was really impressed by a presentation that Mach Kobayashi (currently at Google) gave at the PIXAR Renderman User’s Group. It involved how to render 360 panorama stills for viewing in VR. He pointed out that the naive approach of placing two panorama cameras side by side would break as you looked away from the plane the cameras were in because the views would cross. The stereo version of a broken clock being right twice a day. 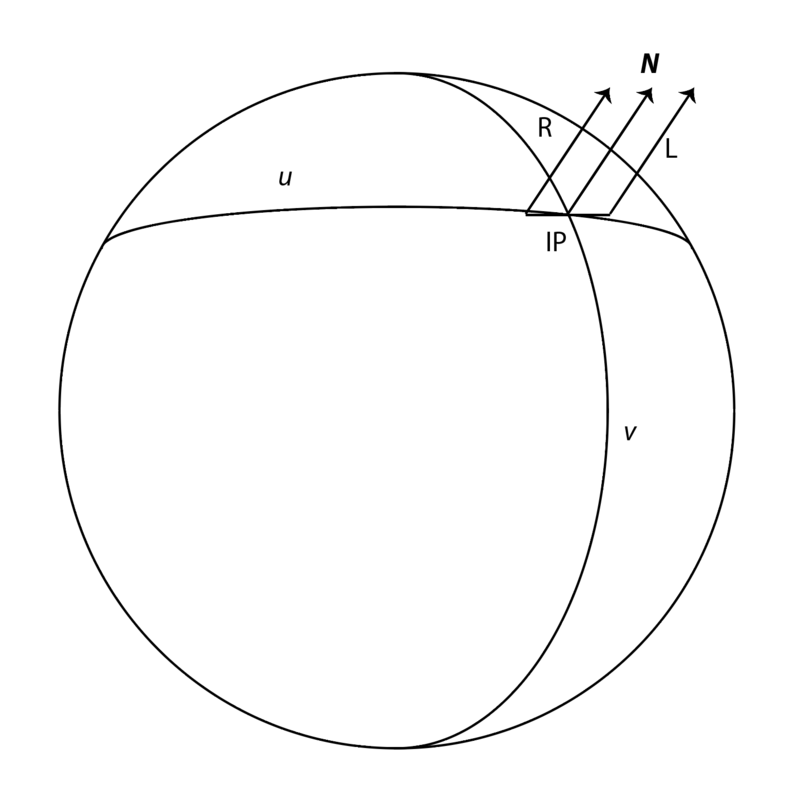 But I was left wondering “what happens if you look up or down?” The answer must involve a sphere. So I gave myself a little project: ray-trace from a sphere to get the stereo result from every angle. And it almost works – like 98% works. The basic idea is to extend a basic spherical panorama camera by adding an offset to the ray origin position without adjusting the viewing direction. The image is rendered, one pixel at a time by sweeping the “camera” horizontally in “u” and vertically in “v”. Like traveling the Earth by stepping a little to the east and snapping a one pixel picture of the sky all the way around, and then taking a step North, taking a single pixel picture and repeating. Luckily the computer is faster and the 3d scene database remains still for the shutter. I have some more work to do – like trying to integrate animating live “hero” elements in with the static stereo background to see if it still holds up to the eye, but this will do for now. Here’s a link to a test that’s made for vieing in Cardboard: http://scottmsinger.com/vrar/sphcam/ The icky pinching at the top of the sky is from an attractive but non spherical sky and cloud texture. Experimenting with particles, volumes, refractive and reflective surfaces is next. It’s promising, but tricky – the amount of filtering and pixel sampling is going to take some dialing in. But there’s a problem. And it’s the same problem that map makers have when they try to flatten the globe into a single plane – you end up getting a mismatch of sampling distances and densities toward the poles. In my renders this results in a little “S” shaped warping as cameras are pointing too far up or down. The results are still pretty cool, and maybe good enough for many applications, but far from perfect. The other issue is that it means that just as many samples circle the sphere at the poles as at the equator, and whether you want to look at it as too much information in some places or not enough in the others – the fact is that it’s not a very efficient use of rendering resources. 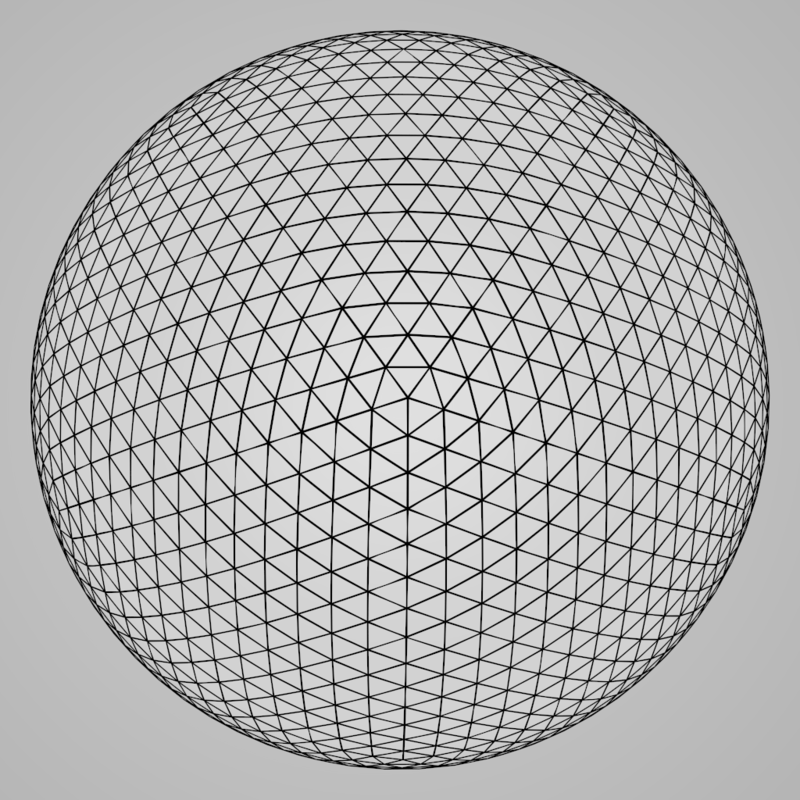 So I’m working on another approach that uses geodesic spheres to derive sample points, and rotating the sphere points without rotating the normals. Oh there will be problems with that too I’m sure. But this is when I get to fall back on my MFA in painting at let all my higher math colleagues solve the problems I make for them. Previous Previous post: What contests are we winning?